Towards the top of best meals I’ve had in Taiwan sits places like RAW (a fine dining establishment combining French and Taiwanese cuisine) and Aquatic Addiction Development (a series of restaurants preparing fresh seafood). What else I would add to this list is a buffet in a mall in Taichung called, Eat Together Buffet (饗食天堂 自助美饌 / xiang shi tian tang zi zhu mei zhuan). Buffets in Taiwan are a completely different beast. You have to move past thoughts about Hometown Buffets, towards Vegas-style buffets—and even then you’d fall short. All-you-can-eat (AYCE) places like Mala Hot Pot are a whole new level of indulgent eating that are only justified because of the exchange rate. At Eat Together Buffet, you have a few hours to eat and enjoy all the buffet has to offer. 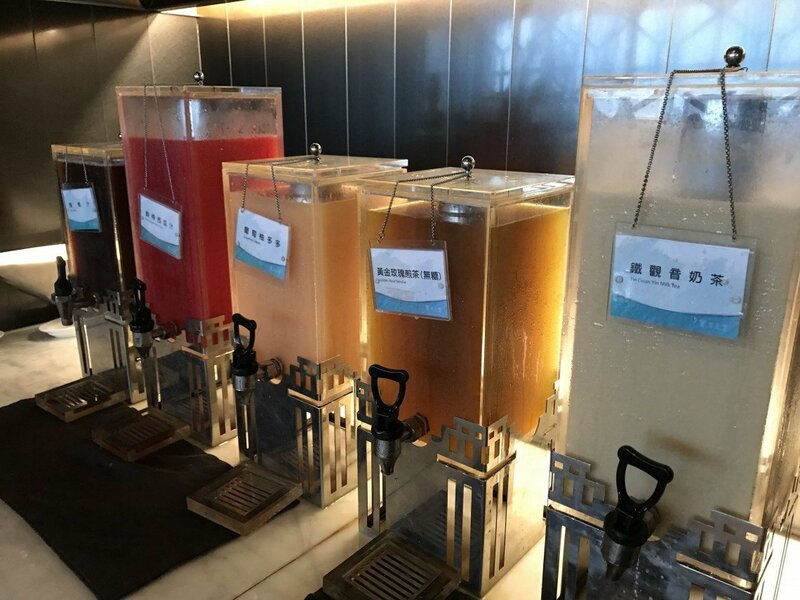 There are a few different stations including an area with fried foods, sushi, drinks, dessert, fresh salads, dim sum items, stir fry, and more. Here are a few photos with some very excited caption-writing (hey I like this place a lot). Many of the dishes are personalized like those that you might find at a high-end Vegas buffet. 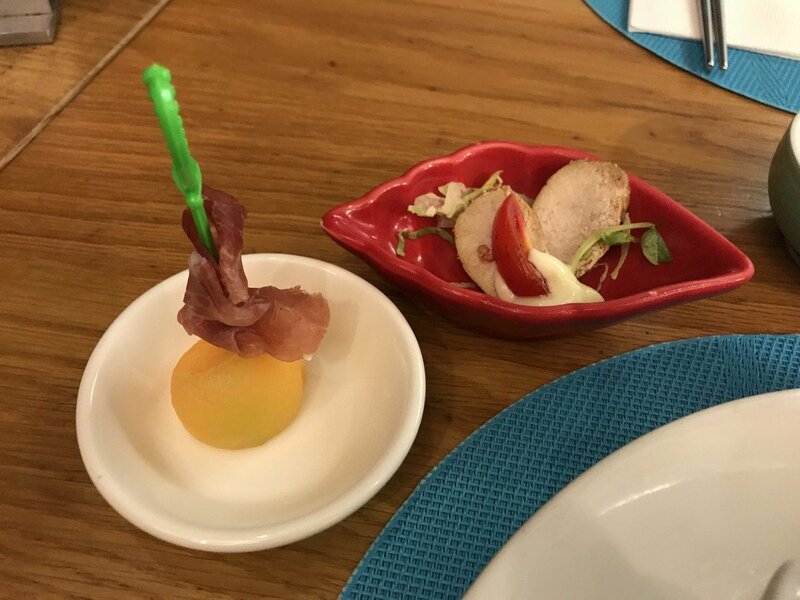 Here’s some local melon with prosciutto skewered with a plastic sword and some kind of liver. 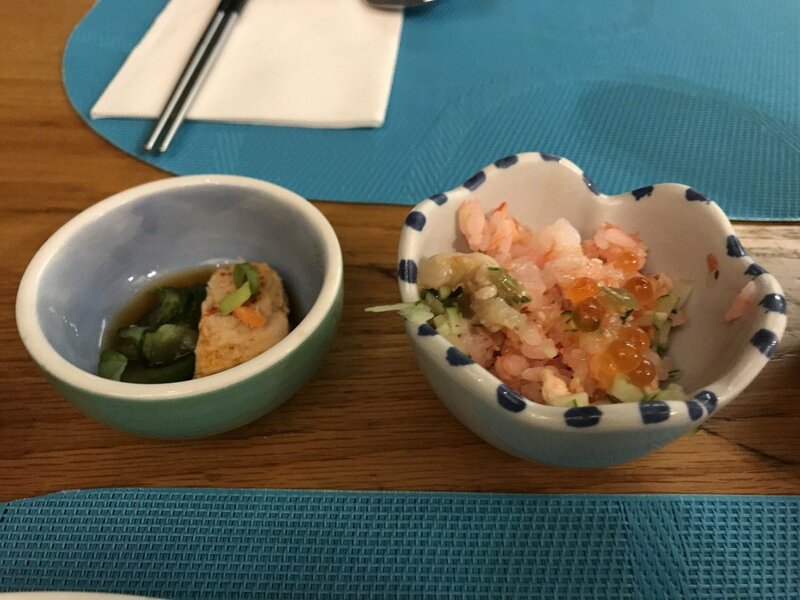 The fish eggs in this shrimp salad were huge and juicy. I love that the dishes are small so, even if you don’t like what you got, you don’t feel horrible wasting or finishing the food. 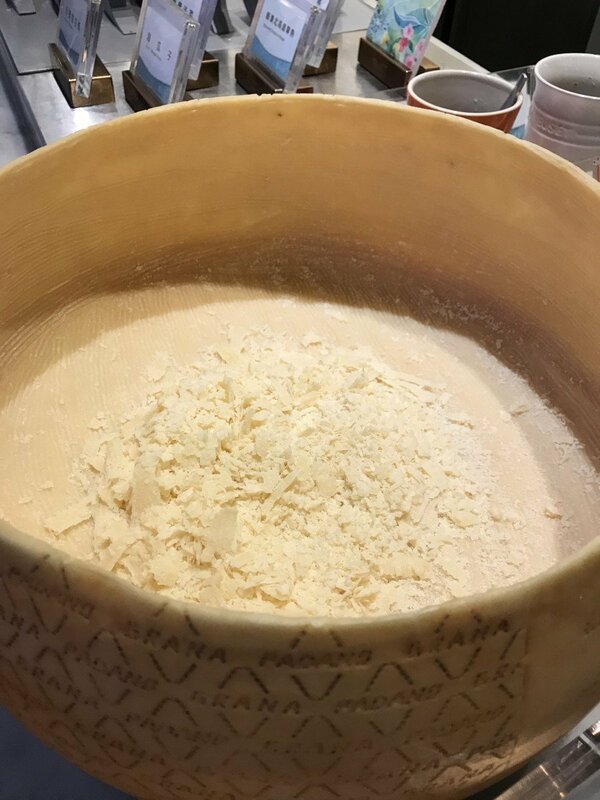 This is a wheel of cheese that they carved out and grated. People could scoop out fresh cheese to add to whatever they were eating. There’s a tea and juice area! We’re not just talking black tea or even black and green tea. No, there’s watermelon juice, a yogurt drink, Tieguanyin milk tea (鐵觀音奶茶 / tie guan yin nai cha), and so much more. 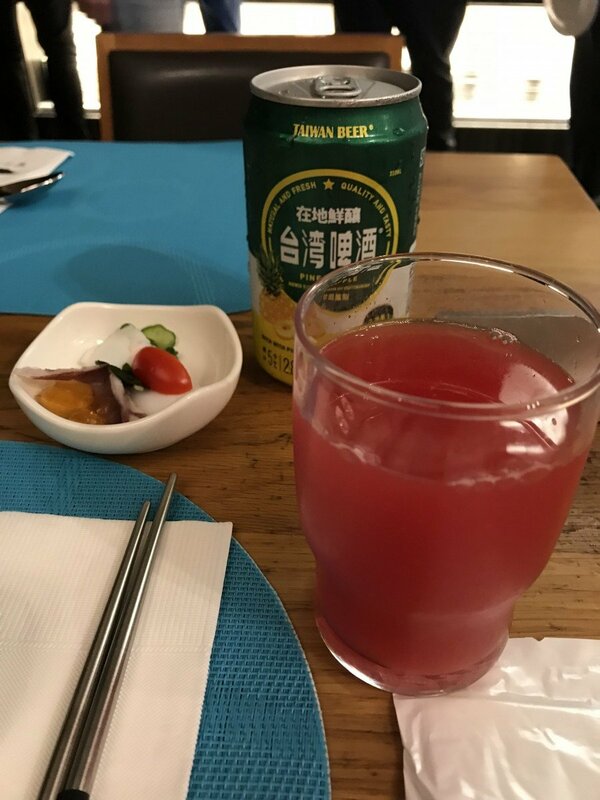 On the left is Taiwanese beer (台灣啤酒 / tai wan pi jiu), which combines beer with fruit flavors. 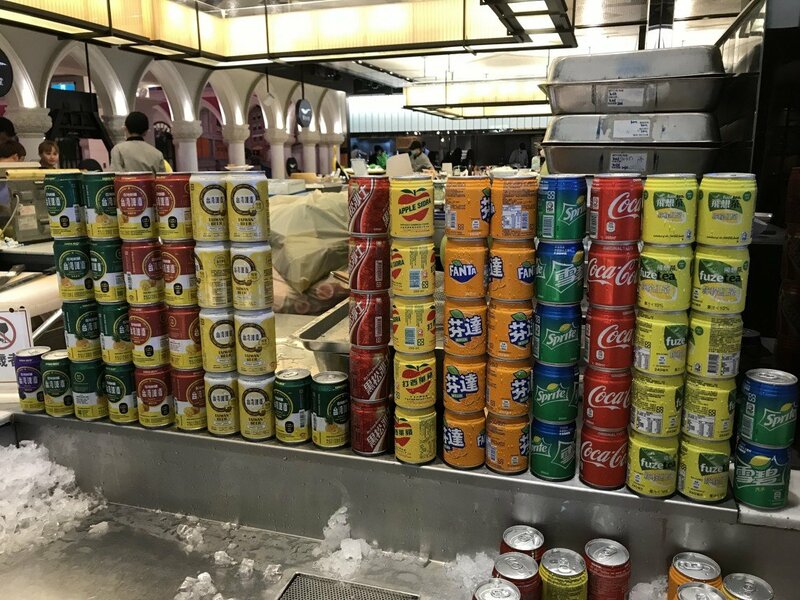 On the right side is soda in fun-sized cans! Here I am getting ready to try the watermelon juice and pineapple beer. 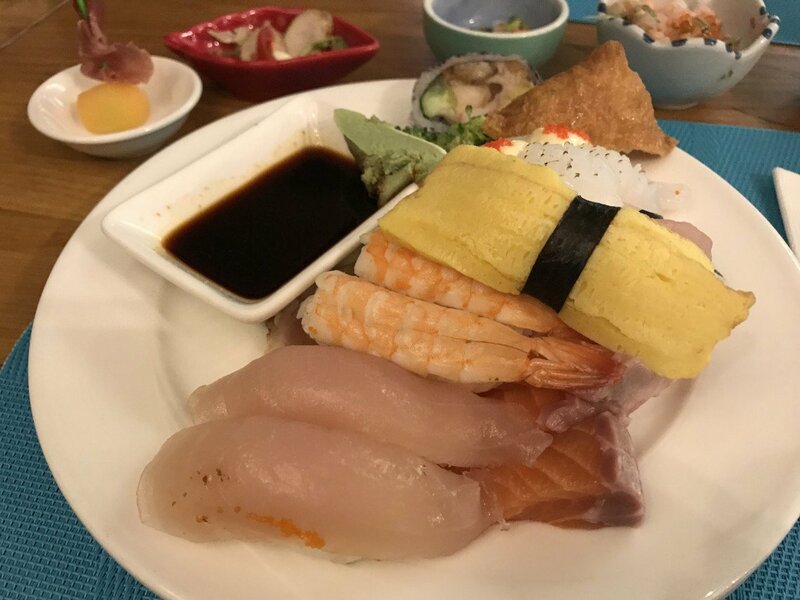 Normally, I would shy away from sashimi or sushi at buffets. Not here though. You can taste the freshness of fish like yellowtail and salmon. By the time I’ve had three plates, I rarely have room for dessert. Even then, my dessert often consists of various Taiwanese fruit, which they also have a section for. Here’s the topping section for ice cream and other baked goods that they have. I was actually a little reluctant to even write about this place since I like it so much, but if you’re reading this, I like you already. Anyway, this can just be our little secret. 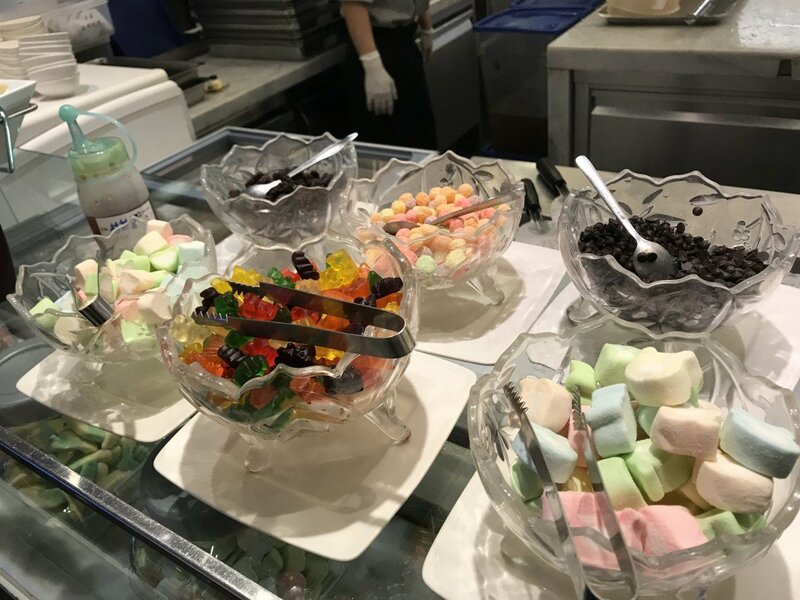 If you’re in Taiwan and looking to try a great buffet, do check out Eat Together Buffet. My photos don’t really do the buffet justice (since I was too busy eating). It’s an amazing experience overall. Just be aware that if you do go, you may leave with unrealistic expectations of buffets elsewhere. The post The Place That Made Me Question All Other Buffets appeared first on Collecting EXP.